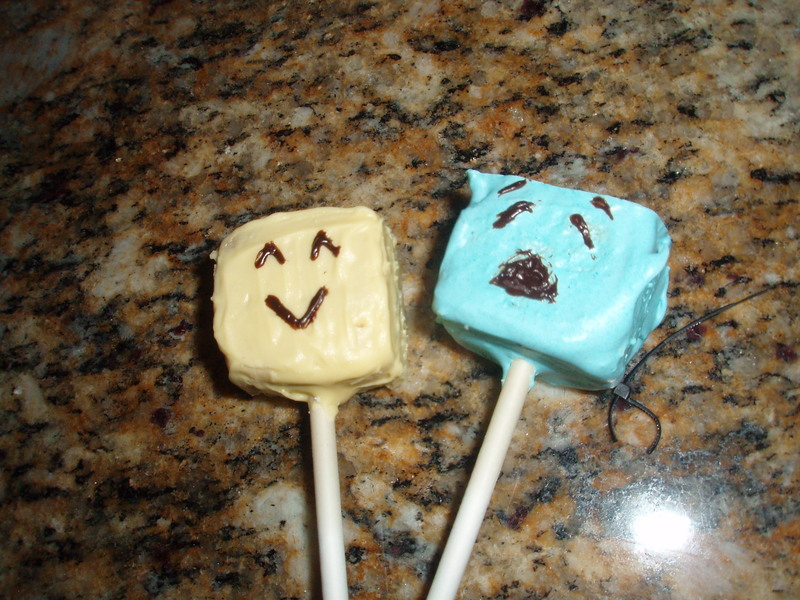 Bakerella inspired me with her cake pop creations. Unfortunately I’m not as good at it (and most definitely not as patient) as she is. However, I gave these guys a go. They are my favorite emoticons on gchat, which I wouldn’t be able to survive without. Inside is cake… I think vanilla. How does one get the squares down?! Just thought I’d toss this one in as a June bonus.